Although spider veins in Maryland are a fairly common vascular issue, there are still a number of misconceptions about them. So, what really causes spider veins and how can you work to prevent them? 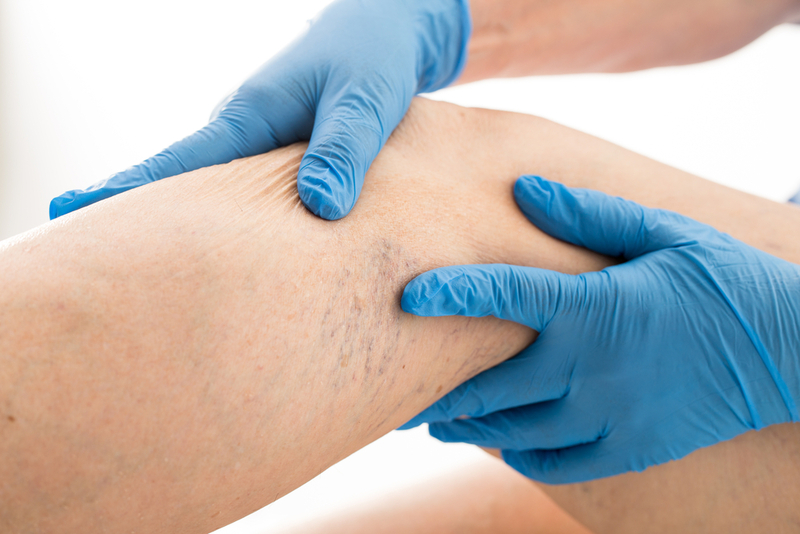 Here are 4 truths and 4 myths about spider veins in Maryland. Spider veins in Maryland are weblike veins that often occur on the legs, lower extremities, and face, and may be purple, red, or blue in color. They are the result of damaged or diseased valves that allow blood to flow backwards (when it should be moving up to the heart) and pool in the legs. While genetics, being a woman, age, obesity, pregnancy, and a sedentary lifestyle can increase a person’s risk for spider veins, patients of both genders and various ages can experience spider veins. That being said, no one is immune to them. Activities like walking and jogging encourage calf muscles to squeeze against leg veins and help propel blood back towards the heart and away from legs and lower extremities. Lifestyle modifications, such as losing weight, becoming more active, decreasing salt intake, and quitting smoking, are all ways that individuals can reduce their risk of spider veins. Additionally, these measures can prevent existing spider veins from becoming worse and new veins from developing. Despite our best efforts, it’s not possible to entirely avoid spider veins over the course of our lifetime. This is one of the biggest myths about spider veins. While a majority of patients are bothered by the unsightly appearance of spider veins, they can also suggest an underlying vascular issue. In fact, ultrasound imaging may be recommended in order to rule out or confirm chronic venous insufficiency as the cause of spider veins. This is not true. Although high heels can contribute to foot-related problems, they do not contribute to spider veins. While prolonged periods of sitting, without activating calf pump, can lead to the development of spider veins, leg crossing cannot. To learn more about symptoms and treatment options for spider veins in Maryland, please contact us today to schedule a comprehensive consultation with one of our highly skilled and experienced vein specialists.